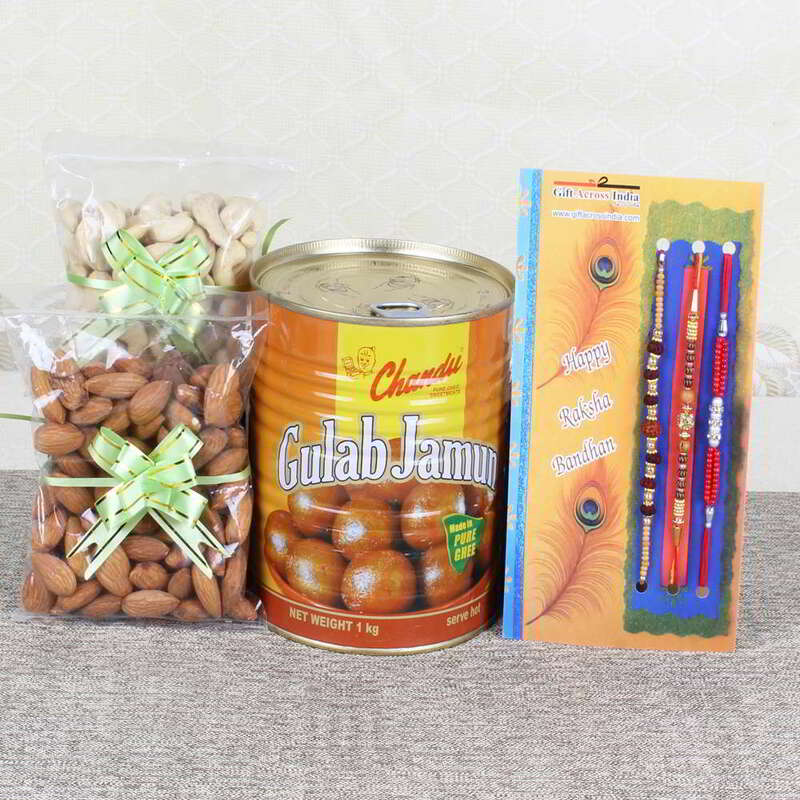 Product Consists: Chandu Halwai Gulab Jamun Pack (Weight: 1 Kg) and Cashew Nut (Weight: 100 Gms) Almond (Weight: 100 Gms) along with 3 Rakhis. 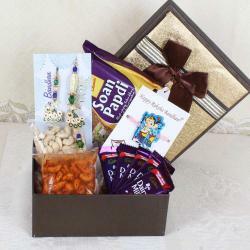 Celebrate this Raksha Bandhan with your lovely brother and this festival comes with the dry fruit, sweets and chocolates hamper that help to blend more sweetness in your relationship. 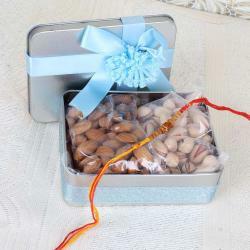 Without sweets any function is incomplete, and you can purchase the Rakhi thread with Gulab Jamun and Cashew Almond. The greeting card with the special message will touch your brother's heart and also make them feel more special on this day. This combo pack comes with the health cashew almond, gulab jamun and three sets of the designer thread Rakhi at the best price. It will be delivered within three to five working days. 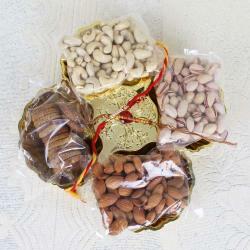 Product Consists of: Chandu Halwai Gulab Jamun Pack (Weight: 1 Kg) and Cashew Nut (Weight: 100 Gms) Almond (Weight: 100 Gms) along with 3 Rakhis.